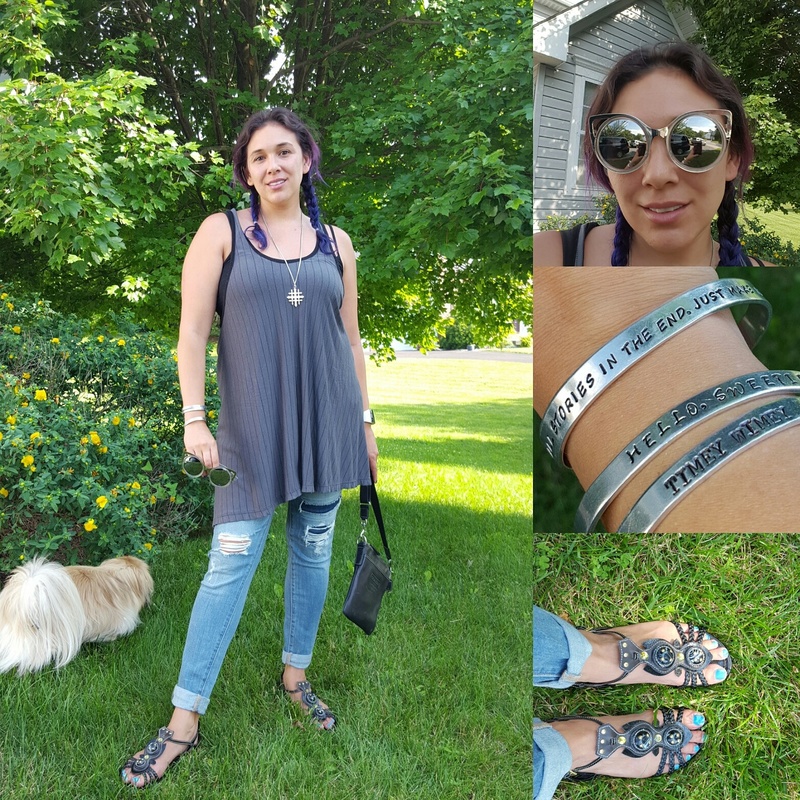 I turned 34 this week! Boo hoo...I mean woo hoo! 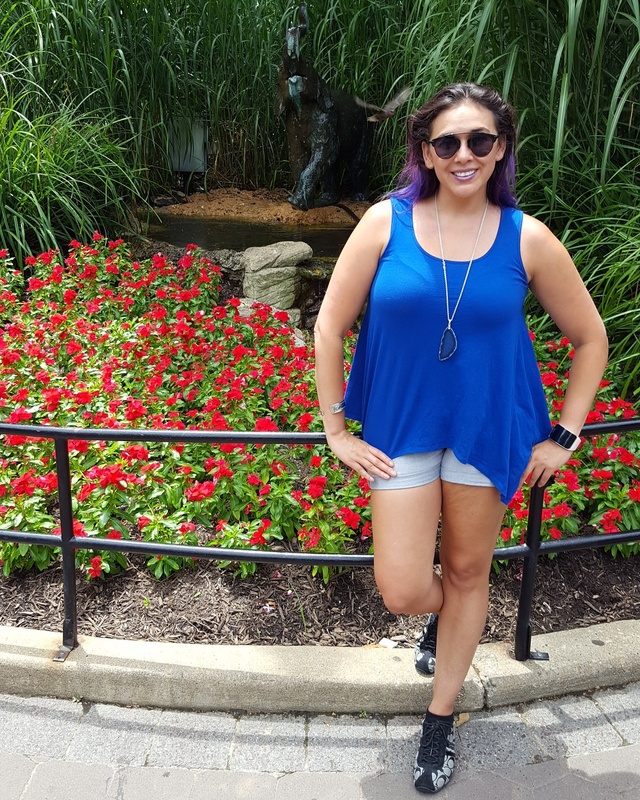 Frankly I wasn't even sure if I was 34 or 35 but I've consulted my mother and I was in fact born in 1982 which makes me 34 and I had a fabulous dinner with my besties. Moving on. Only two more weeks left of teaching and then I'm free to...go to the gym? Oh the beach... but don't expect bathing suit pics! 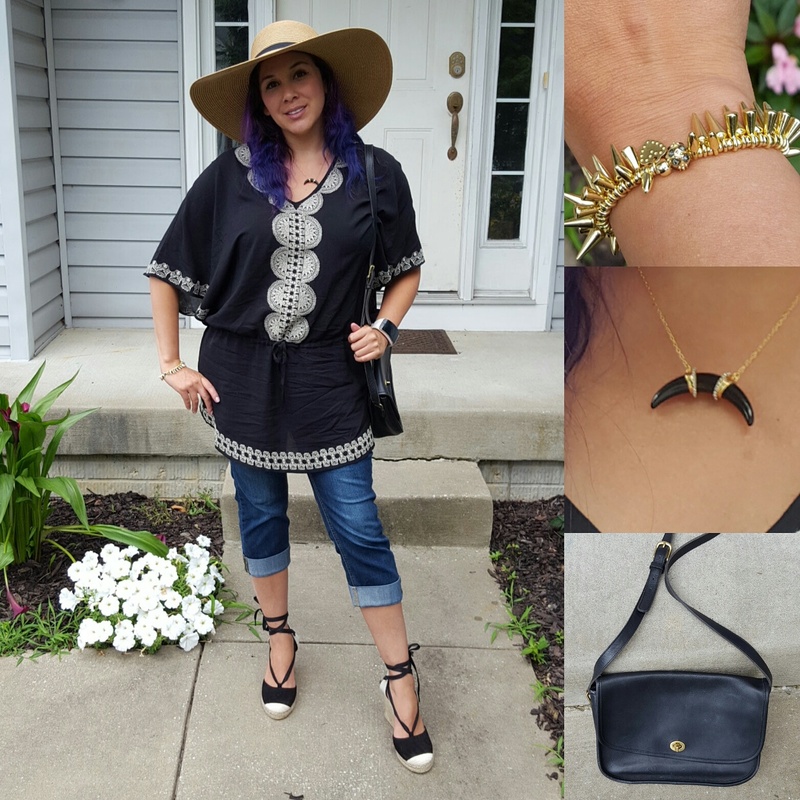 Ok here's what I wore during my birthday week. 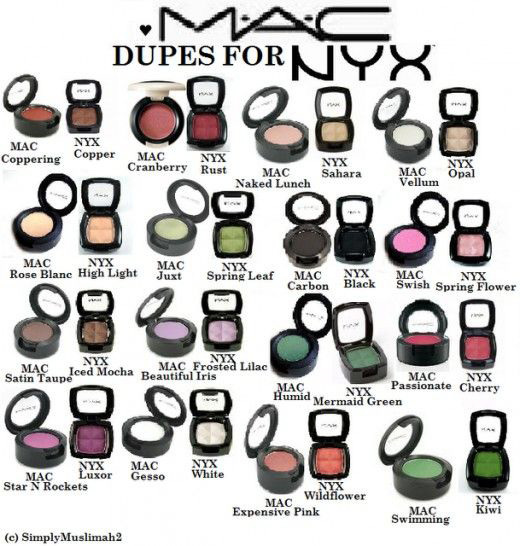 Sometimes you don't want to splurge for the department store make up when there is a perfectly good dupe on the market. 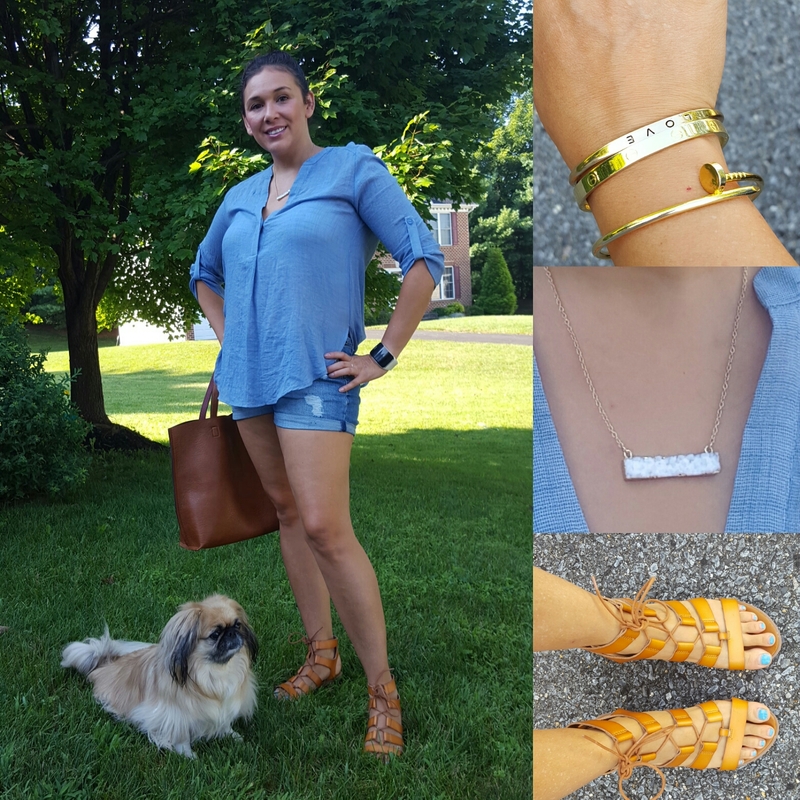 there are about 20 million posts on Pintrest on this subject and a lot of it is nonsense (just because a color matches does not make the products equal) so here are my favorites that I'll stand by any day. 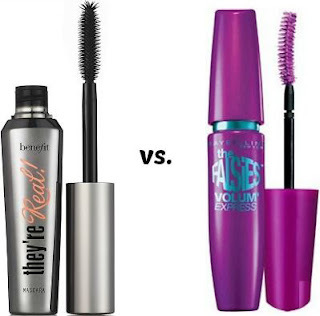 Both provide a nice lengthened and curled eyelash but aren't clumpy or overly fake looking. The Benefit is will last longer and is less likely to leave a rim after a long day but $17 less the Maybelline is a really good option. 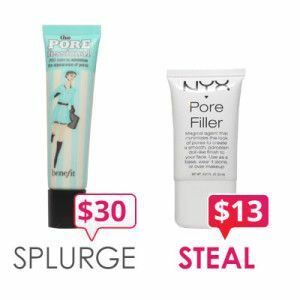 I don't even use the benefit any more I actually think the NYX works better. the Benefit is a tad bit smoother but I think it doesn't fill as well and other then that there is no difference. I'm really not a huge fan of Smashbox's primer it's just hemorrhoid gel and I find foundation doesn't stick to it very well. 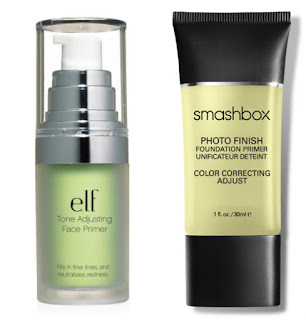 However, the green primer to cover redness is something everyone should have in their makeup box and the Smashbox definitely fights off the red but the e.l.f. is way cheaper and feels almost exactly the same. This is a great buy. Warning, you need to be careful with HD formulas they are thick and liquidy and need loads of blending but if you do it right there is no beating their appearance under HD photography. 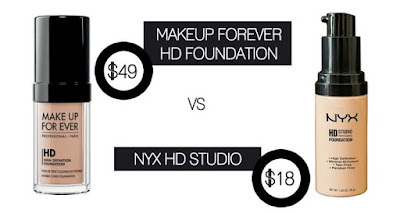 These formulas are almost identical and you can't beat the price difference. Go for the NYX! 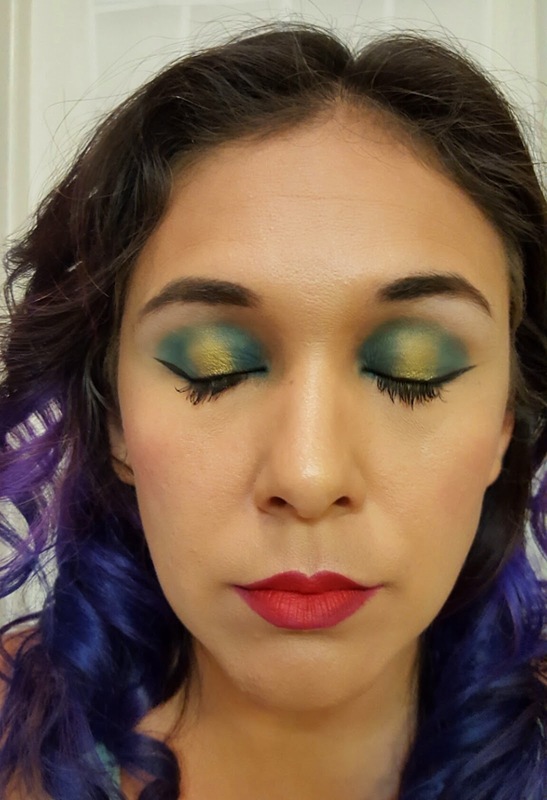 I love NYX Cosmetics. They make hit after hit and this is no exception. It's a little wetter then the Anastasia but I think it is a little easier to use. I should note that I prefer the Anastasia pencil it's easier to be precise with. Not all e.l.f. was created equally but this highlighter will work perfectly in place of High Beam. It's a little thicker but frankly the tube makes it easier to use. 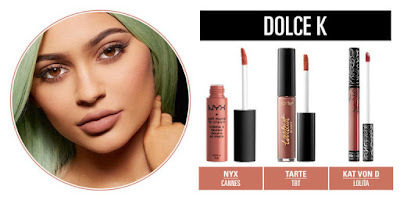 I love all NYX lip creams but this one is a perfect dupe for the Tarte and also the Kylie (which I don't know why anyone would ever buy) and the Kat Von D. It goes on evenly and lasts as long as more expensive formulas. I'm not a big fan of MAC virtually nothing they make you can't get better and cheaper elsewhere and their sales people really don't know what they are doing. 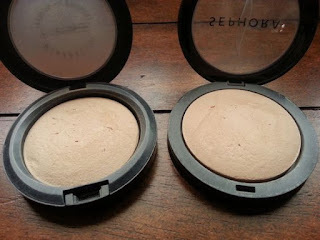 There was a time when it was the best makeup you could get and I used to use this powdered foundation but now Sephora clearly has the superior product value. There you go. You're welcome! It's been a busy two weeks. 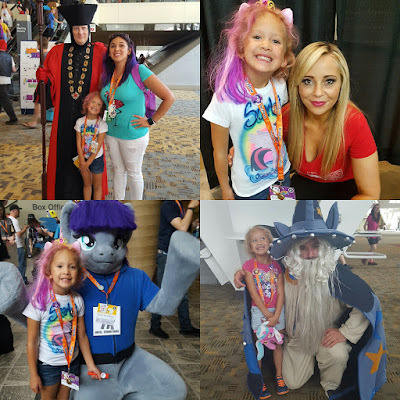 Every summer I take my daughter to BronyCon, a My Little Pony Convention in Baltimore (see my other instagram @pinkhairmom more pics). I also taught a few classes that keept me on my feet for two straight weeks. I've also obsessively been playing PokemonGo Go Team Mystic! And getting a great workout doing it. It was also Scarlett's 5th birthday on Sunday. 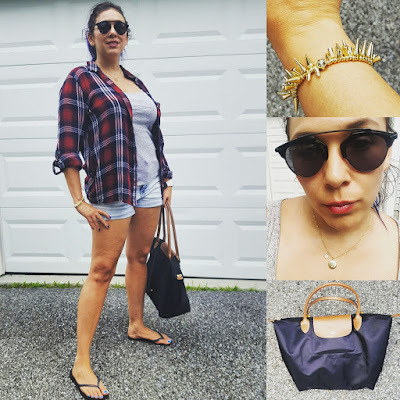 Anyway I'm back to being behind a computer so here's what I wore. 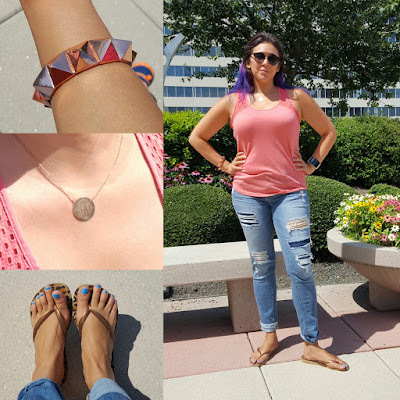 New York and Company Flamingo Shirt Now only $10! Most of my readers don't have time for an hour long makeup session which is why I usually focus on quick easy looks but since it's wedding season here's a long tutorial for a full beautiful and colorful summer wedding look. Step 1: Moisturize as you normally would. 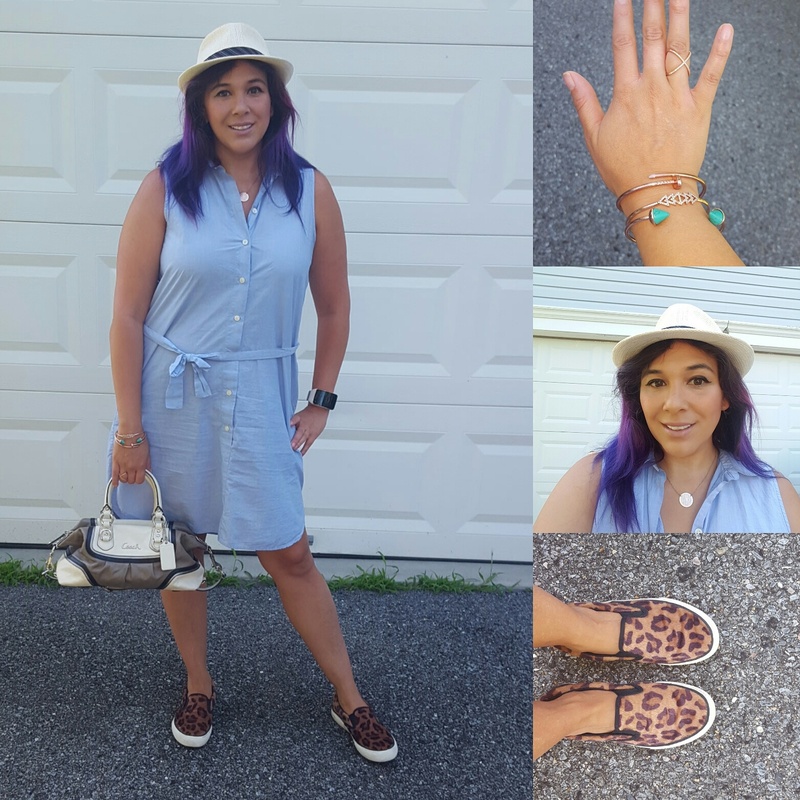 Check out this post for my routine. 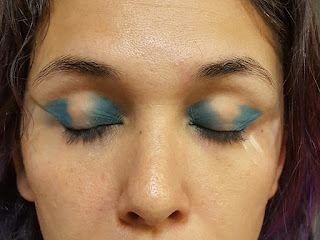 It's important to do your eye makeup first because your eye shadow and mascara will ruin your foundation. 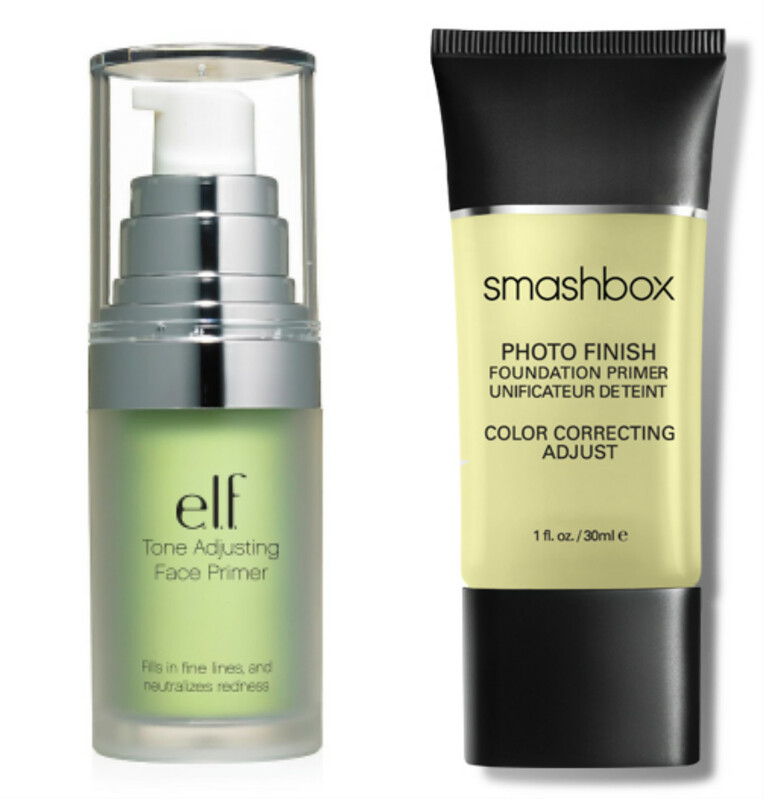 Start with eye shadow primer. 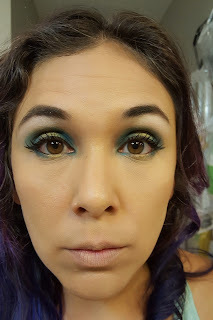 I use Too Faced Eye Shadow Insurance primer but Urban Decay Primer Potion is good as well. I really don't like the cheaper versions made by e.l.f. or drugstore cosmetics companies they just don't last as long. 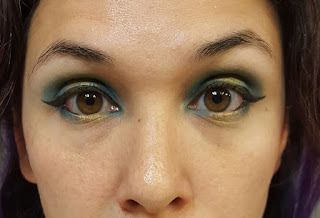 Start with a teal shade on the outer and inner corners of your eyes. 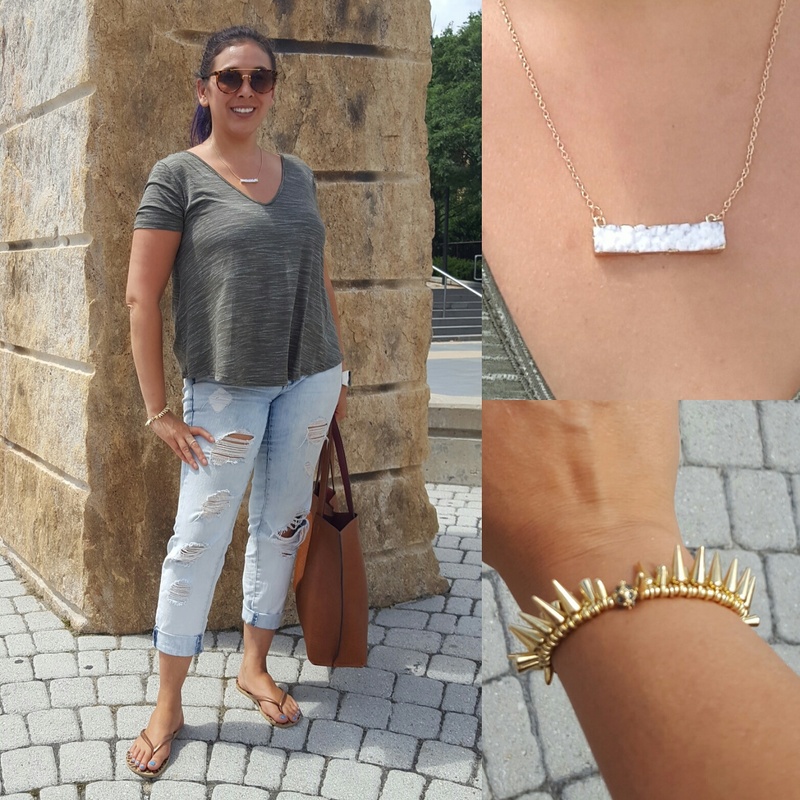 Add gold in the middle. Add the teal along the crease. Then blend. 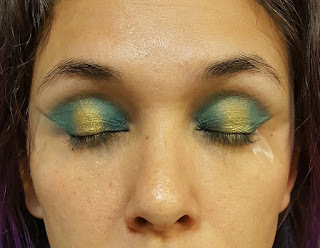 Add teal on the inner and outer corners under your eye and then the gold in the middle. For big lashes start with a primer like Lancome Cils Booster Primer apply a layer and let it dry. 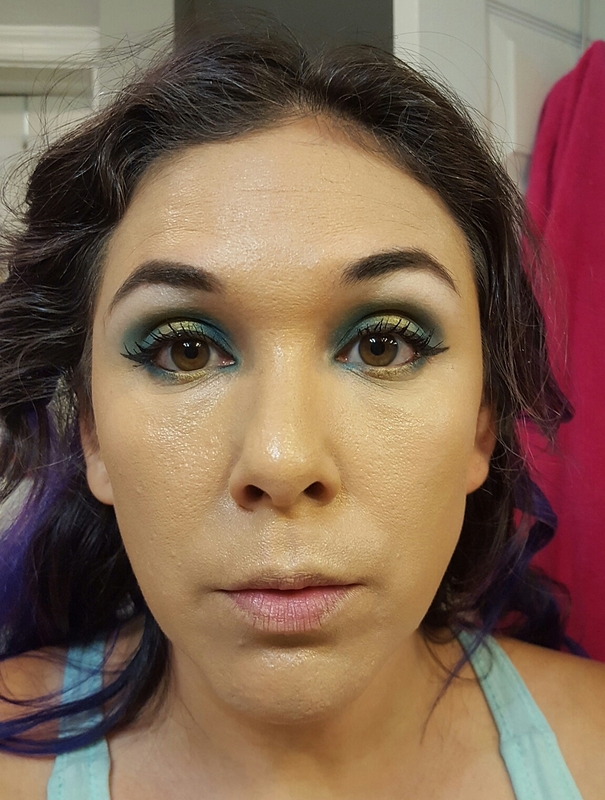 For my brows I used NYX Tame and Frame Bow Gel with a straight brush from Smashbox. 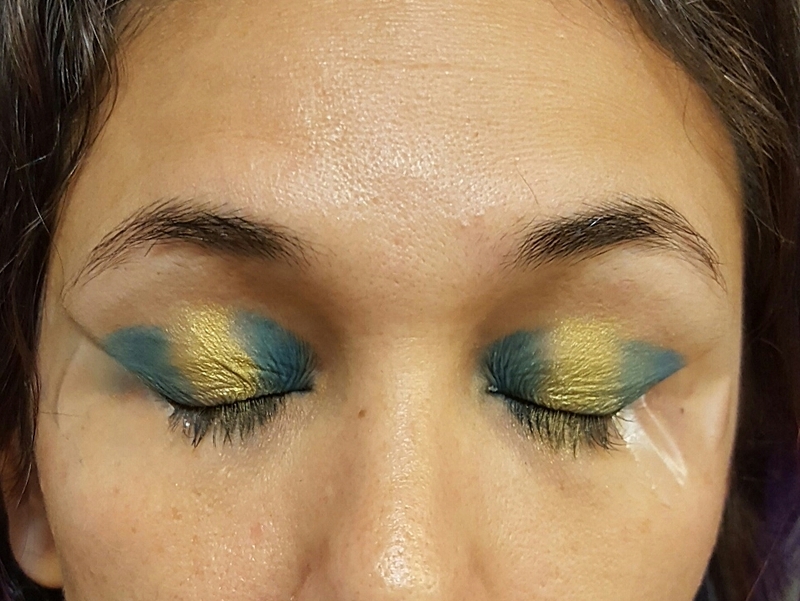 I started by outlining my brows then filling them in. Follow up with highlighter shadow under the brow. Finish up your mascara with a bold mascara like Tart Lights, Camera, Flashes Statement Mascara. First I prime my face. 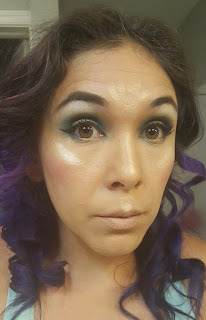 Since this is an outdoor wedding I want a dewy luminous look so I'm mixing NYX Pore Filler mixed with Loreal Lumi in ICE. 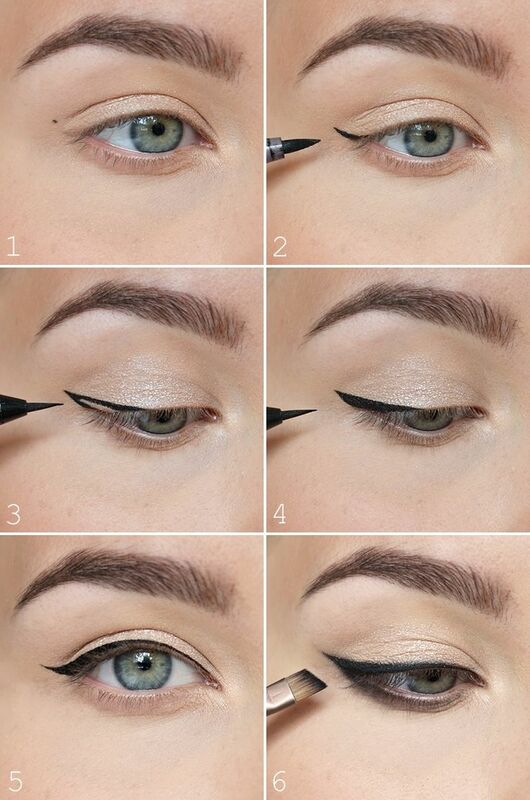 Now you can fix those dark circles under your eyes. I use an orange concealer like NYX Color Corrector in ORANGE. Followed by a creamy concealer like e.l.f. Cover Everything. For a more detailed guide check out this post. Next I Apply my foundation. 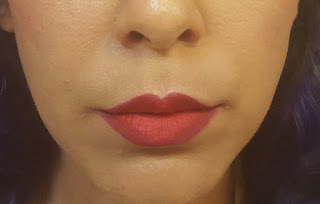 I used Maybelline Fit Me Dewy because it's an outdoor wedding and a matte look just won't stay nice. I start by pouring a nickel size drop on the back of my hand and I use an e.l.f. Ultimate Blending Brush to apply it to my face. 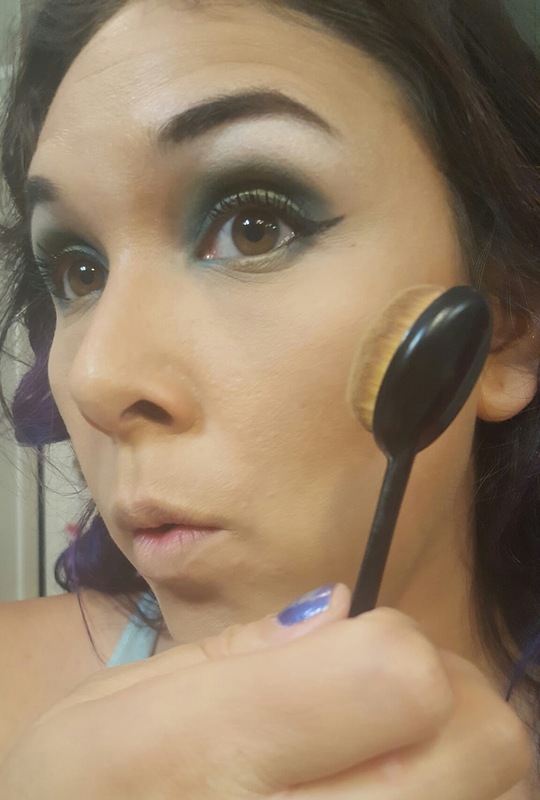 To blend my foundation in I use a blending sponge with a little bit of NYX Honey Dew Me Up on the sponge and I blend till it's seamless. 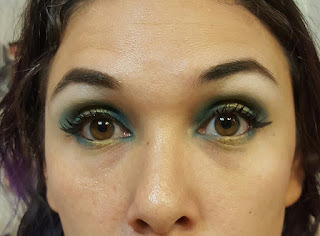 Next I took Airspun Loose Translucent Powder and applied it under my eyes and in a line along the sallow of my cheek and along the sides of my chin. 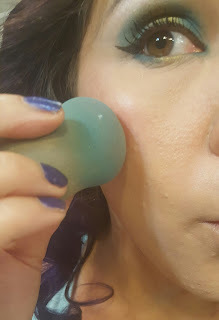 I use a harder blending sponge. Now it's time for bronzer to contour. My favorite bronzer is Benefit Hoola Matte Bronzer which I apply under my check bones. along the sides of my nose, along my forehead and on my temples. I blend with a oval makeup brush (I'll be giving one away on Instagram check @pinkhairfloosie for details). (Sorry I got something on my camera lense and the rest of the pictures are fuzzy). I used Benefit Benetint on my cheeks which gives me a perfect natural rosy cheek but requires lots of blending. For perfect blush smile and apply to the apples of your cheeks. I used Benefit Watts Up to highlight my cheekbones, the bridge of my nose, above my lip and at the tip of my forehead. 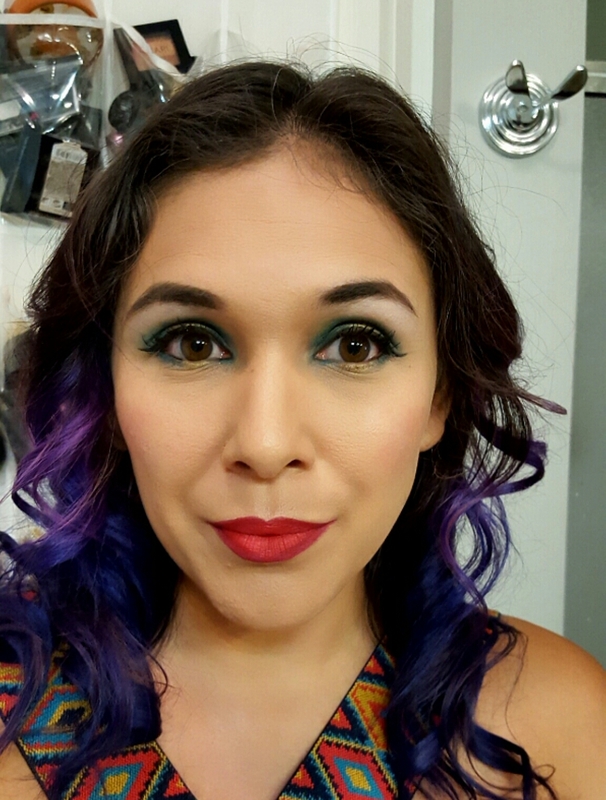 I finished with a spray of Urban Decay De-Slick to help control oil and set my makeup to last all night. 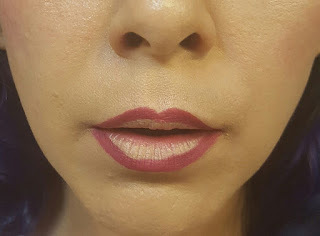 I prime my lips by applying a little foundation to them when I am putting it on. It preps them just fine and removes a step which I'm all about. I used NYX Ombre Lip Duo in BONNIE & CLYDE Start by outlining your lips with the darker shade just outside your natural lip line. Next apply the lighter shade on the inside and blend outward. Perfect pout. The whole process took about 40 mins but I'm pretty pleased with the results. What do you think?